The O’Neal School’s varsity golf team has concluded a very impressive regular season, finishing their schedule as the number 1 team in the State going into the Conference and then State Championships. The team started the season the week before the School’s spring break posting a very low total of 294. Fulton Smith (2019) was the medalist shooting a dazzling 66. Jackson Van Paris (2021) and Joey Pritchard shot (2020) 74 and 78 respectively as the Falcons got off to a flying start. 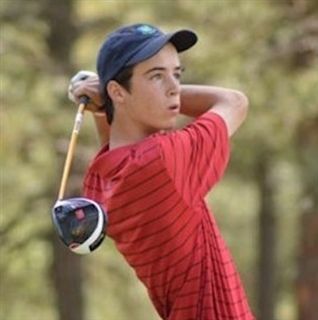 At the first EPIC (Eastern Plains Independent Conference) golf match of the season, O’Neal won with a team score of 301. Smith was again medalist for the second straight match, shooting a 72 which included 3 birdies. Perennial state championship competitors Saint David’s School came in second place, 10 shots back of O’Neal. Four of O’Neal’s golfers posted scores in the 70’s at the challenging 12 Oaks Golf Course in Holly Springs, NC. Smith’s 72 was supported by Drew Martin’s (2017) score of 75, Van Paris’ score of 76 and Pritchard’s score of 78. In O’Neal’s third match of the year, the consistency throughout the team’s early two matches showed again. In their individual match vs. Davidson Day School, O’Neal recorded a staggeringly low 284 team score. Martin and Smith recorded blistering 70’s to share the medalist for the day. Van Paris (71) and Pritchard (73) provided brilliant support. O’Neal continued its strong form with a strong performance against fellow State Championship hopefuls Westchester Day. Westchester Day are the host school for the State Championships and O’Neal played well at Willow Creek CC in High Point, shooting 10 shots better than their hosts for the day. Pritchard shot a low 72 to continue his strong season to date. The next and arguably the hardest test came when the team travelled to play at St. David’s at Northridge CC. The golfers again rose to the challenge, shooting their lowest total of the year carding a staggering team score of 283. Smith recorded his lowest total of the year and was once again the medalist with an awe striking 65. Van Paris shot a 69, Martin a 70 and Pritchard a 79. This score combined with the team’s consistent efforts has given O’Neal the number 1 ranking in the State. O’Neal’s final regular season event came at the Pinecrest High School Invitational, where the team tested themselves against larger public and private high schools from the 3A Division. The team continued to play very well with an outstanding 3rd place overall finish out of 18 of the top golf teams in North Carolina. Smith carded another low round of 69, coming 3rd overall out of 89 golfers. Van Paris shot 74 to come 11th and Martin shot 76 and came in 17th. It was another fantastic team effort. Heading into the play-offs, O’Neal leads all 2A schools with a team index of 1.27. St. David’s School are close behind with an index of 1.95, just 0.68 higher. O’Neal has one match left prior to the NCISAA 2A State Championships which take place on May 15, 16 and 17. Their final match will be the EPIC Conference Championship and takes place on 4/27/2016 at Prestonwood Country Club, hosted by Cary Christian School.